Our November Employee of the Month goes to Kim Matusevich. 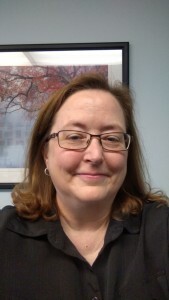 Kim is our Office Manager for Kirby-Vass and Firestop of Virginia. Kim works hard day-in and day-out to make sure all the fine details of the company are running smoothly. She deals with anything from computer issues, billing questions, registering our new hires, payroll, and many more things. She handles things that make the company continue to run efficiently. While juggling all these different duties, she continues to have a great attitude about everything. Kim displays an excellent work ethic and motivates others around her. We are very lucky to have someone like Kim Matusevich working for us.